Through the Education and Child Sponsorship Program IIMC hopes to ensure a better future for the poorest children in West Bengal. £10 a month will see a child through school and all the way to University if the child is able. This money will not only ensure the child’s education but it will enable the child's family to have access to medical services, loans and other IIMC initiatives which they would otherwise not know of or be able to afford. "Our mission is that one child in every family will be educated" -Barnali Brahmochary. What is IIMC's Education and Child Sponsorship Program about? 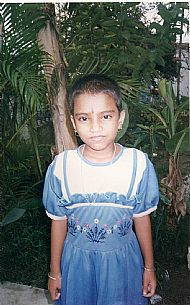 The child I started sponsoring through IIMC in 2001 lives with her family in a small house on edge of Kolkata. Her father was a fruit seller, earning a pittance on which to keep four people, but having only primary education himself, very keen for his child to be properly educated. 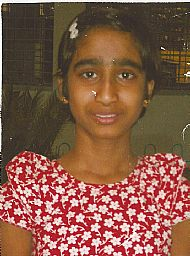 Using my sponsorship money, IIMC has supported her through school and kept an eye on her health. She’s more or less grown up now and it will be interesting to see what comes next. IIMC keep me up-to date on her progress, sending me her school reports. 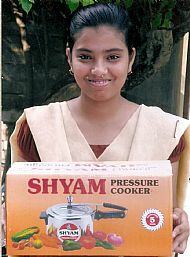 The UK Coordinator visits regularly, usually taking her small gifts, but last year she arranged for my sponsored child’s family to have a pressure cooker, a very useful gadget if you only have one heat source for cooking. Why sponsor a child in India? You may want to ask. India can put rockets into orbit and look at the luxury life-style of Bollywood stars! Everyone seems to have a mobile phone. Just look at how cities like Mumbai and Kolkata have grown – shopping malls, smart residential areas… Surely they can do without our help? But for a child living in the villages and small towns between Kolkata and the Bay of Bengal, all this might just as well be on the moon. Even for a child living on the fringes of Kolkata, access to adequate education and medical care can be well-nigh impossible. No NHS! Importantly for me, IIMC is Indian. It was founded and is run by Dr. Sujit Brahmochary, who used to work with Mother Teresa, a Bengali whose home is Kolkata. 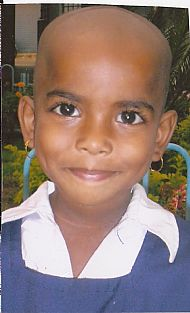 Dee Stringer sponsors a child named Rakesh Patra. Dee has been a sponsor for just over 2 years. She was surprised at how emotional she gets when she receives news about her child. She received a letter from her child a week before (the letter has been translated to English) and a photograph. Nupur is an intelligent and quiet girl. Her favourite subject is history. She is an only child and her hobby is dancing. Her father is a Casual Traffic Police earning about Rs3200(£55) a month. Her mother died of liver cancer 4 years before. She lives with her father and grandparents in her grandfather's concrete house. All 4 of them live on her father’s marginal income. 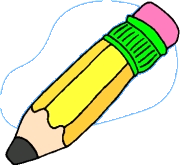 Riya is a bright child who likes to draw. In school her favourite subject is Bengali. Her father died 2 years before from a heart attack. She lives with her mother and sister in a house with brick walls but has an asbestos roof. Her mother earns Rs1000(£15) a month working as a househelp. She IIMC for a sponsorshop as she hasn’t enough money to educate Riya properly. 'Wednesday Welcome', a group from St. Georges Church in Hertfordshire started sponsoring these 2 children in 2012. Payel was born in a poor illiterate family. Her father works as a driver and her mother is a housewife. Neither of them are educated but they want their daughter Payel to go to University. They are very poor. When Payel was in class II her mother approached IIMC for help. She was overjoyed when they were able to get an Education sponsorship. Sponsored by Mario Rodriguez from Spain, IIMC provided Payel with everything she needed to attend her school and subsequent University studies. 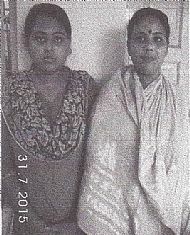 Payel got 67.8% in her final exam of Secondary education and 69.8% in her Higher Secondary education. She went on to complete a Bachelor of Technology ( Information Technology) with 9 points. She is now doing a 2-year programme towards a Masters of Technology (Information Technology) degree from the Government College of Ceramic and Technology. We wish her success in her Masters degree. We hope that after her studies she will get a good job and she will be able to help her poor family.